A retiring Kate Malpass is thanked for her dedication to the club. AFTER 10 years and 234 games with the Willetton Tigers, including several years as captain, Kate Malpass is ready to retire from her successful career in the WSBL. Malpass has enjoyed a long relationship with the Tigers that has seen her awarded with the Willetton WSBL MVP six times as well as being selected as a WSBL all-star representative four times. However, Malpass says the time is right for her to leave the game. “I really enjoyed my time playing but last year I suffered a few injuries, and there’s some other things in my life that are probably taking priority over basketball,” she said. “I’ve been playing for Willetton for as long as I can remember so it will always be a big part of me and who I am. Throughout Malpass’s career she has represented WA with the Perth Lynx in the WNBL, as well as playing interstate with various clubs – winning a total of five championships. But she said the Tigers had always been home to her, and she wanted to thank the club and its supporters for always welcoming her back. “I want to thank Willetton and the fans for letting me play over east and for always welcoming me back with open arms and allowing me to slot straight back in to where I left off,” she said. While the Tigers will no longer be home to Malpass as a player, she hopes to eventually return to the club as a coach as a way of giving back to the community that supported her career. “Hopefully moving forward I can give back to the club what it’s given to me over all these years,” she said. 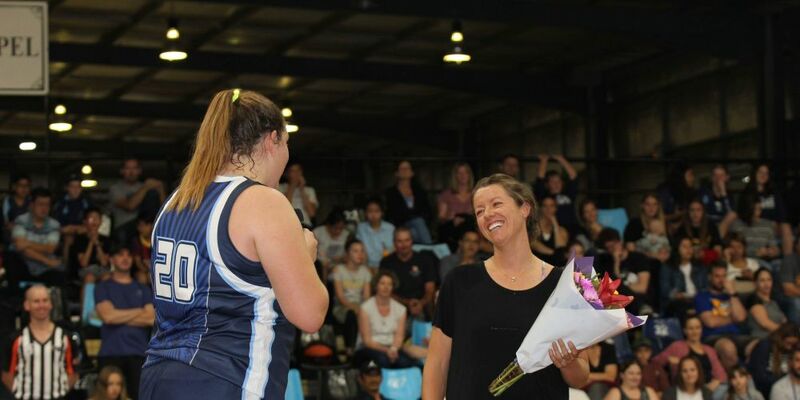 Tigers WSBL head coach Simon Parker coached Malpass during her time as captain with the Tigers and said she played a vital role in building club culture and guiding the younger players. “Her leadership and teaching the young kids, you’ve got to have people like that in your club if you want the club to keep being successful,” Parker said. “You need those sorts of players who can pass on their knowledge and talents and try get the next generation of players groomed up and ready to go. Malpass said she was lucky to be a captain to a group of close friends, an experience she cherished. “I’ve been really fortunate that at Willetton I’ve been playing alongside some of my best friends,” Malpass said. “To be able to be their captain has always been a real privilege and something I’ve really enjoyed.